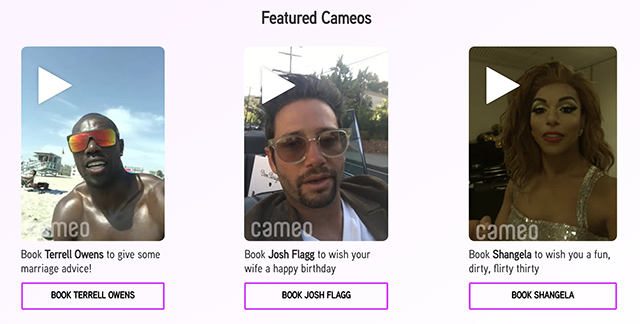 Cameo lets you book video shoutouts from your favorite celebrities. Have you ever wished that you could convince Bam Margera to wish your significant other a happy birthday? Ever wanted to get Lance Bass to say something to you? Have you ever thought, “I wish I could hire Terrell Owens to give me some marriage advice”? Perhaps you have. Most likely you haven’t. But now, with Cameo, you can do all of the above. 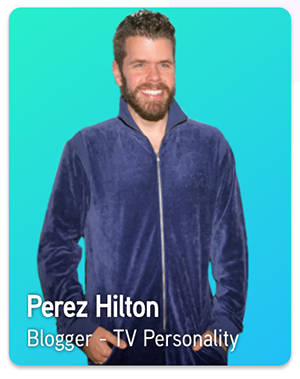 Even if you’ve never thought you’d want to receive a personalized video or audio message from a celebrity, the site offers you the opportunity to do exactly that. It’s a fun gimmick that could inspire you to think creatively about how to use a Cameo shoutout in your life. There is a long list of celebrities, ranging from obscure to more well-known, who have agreed to record videos or audio messages for Cameo customers. 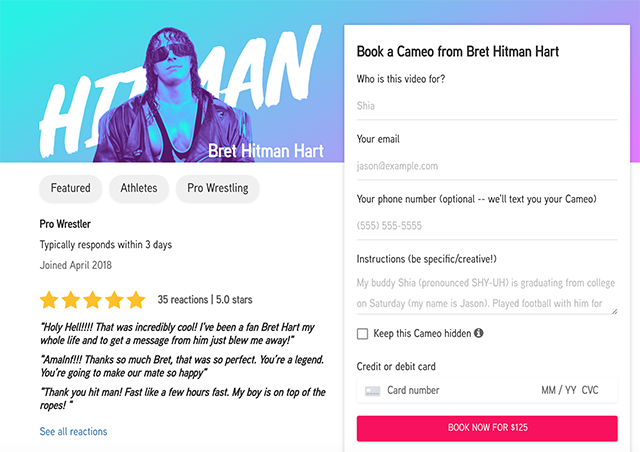 From YouTubers like Jake Paul to reality stars like Chumlee, athletes like UFC hall of famer Forest Griffin, rappers like Lil Scrappy, and wrestlers like Bret Hitman Hart, there’s a celebrity for everyone on Cameo. The prices range from lower to higher, but are somewhat pricey for a short video. Terrell Owens, for instance, costs $350, while Bret Hart costs $125. If a group of friends pools their funds together, of course, the cost of a Cameo becomes much more affordable. 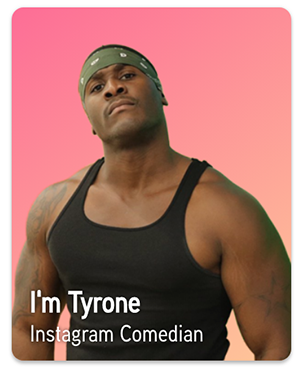 Browse the site and its extensive list of talent to see if there’s anything that interests you.